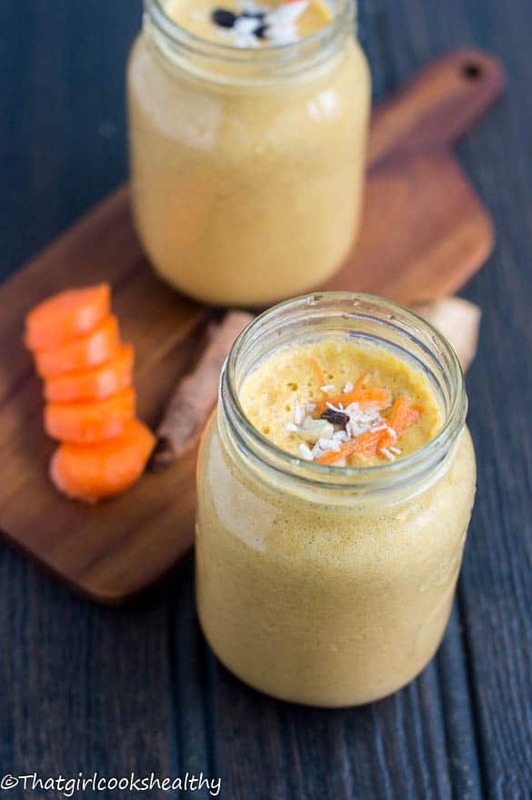 Carrot cake smoothie recipe – just like the cake this carrot cake smoothie is tasty but much more nourishing thanks to the anti inflammatory properties. 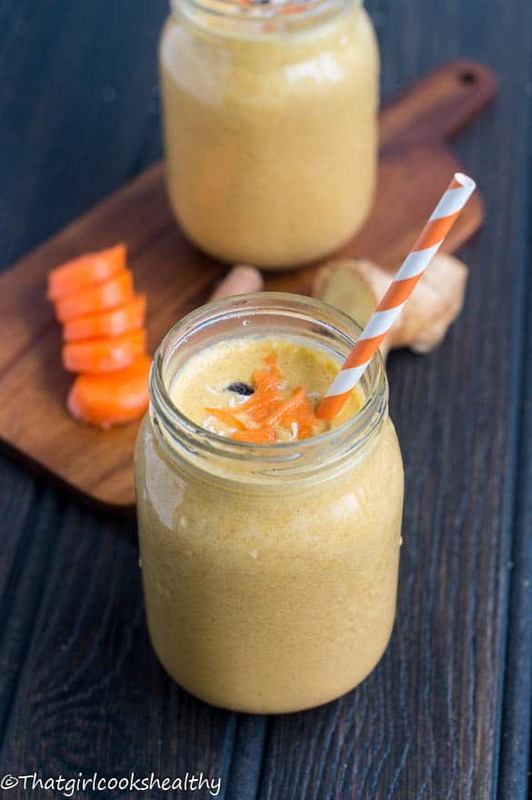 This carrot cake smoothie is packed with the correct vitamins and minerals to get you started for the day ahead. 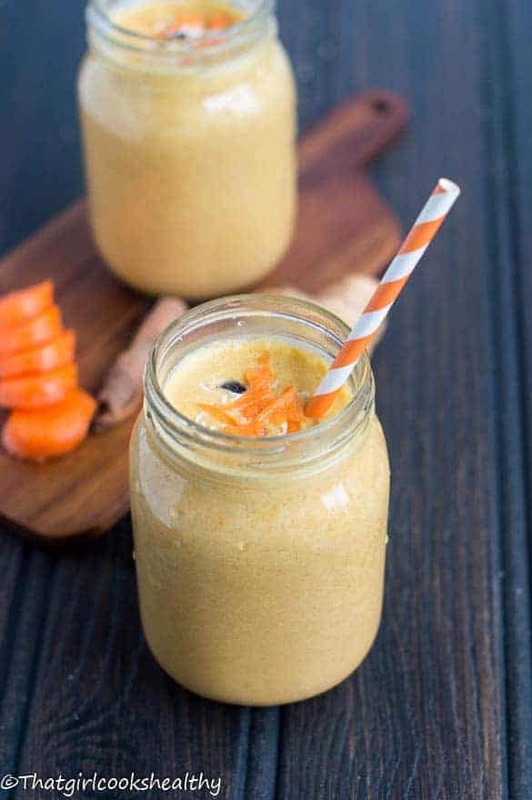 As always, I got the perfect result I wanted with my vitamix, you may use the tamper to ensure the carrots are completely ground. 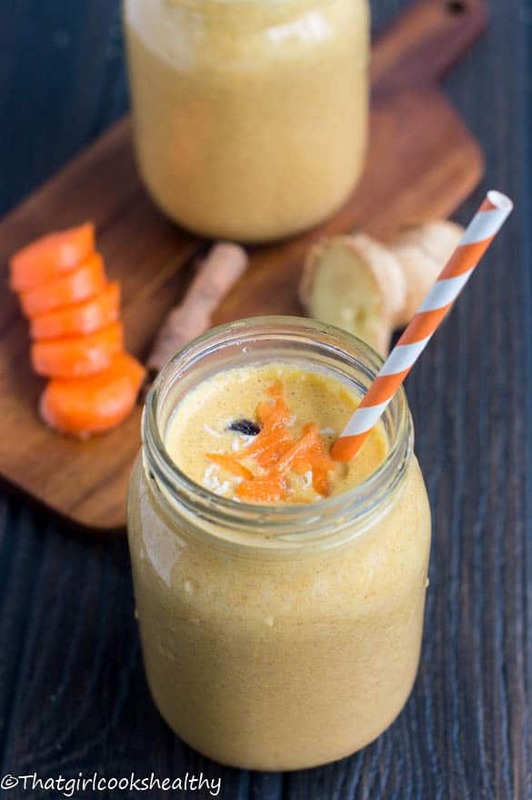 The prominent feature in this recipe (aside from the carrots) is the coconut milk which tends to be quite filling and tips this drink over the edge, in a positive way mind you – thus categorising it as a meal replacement smoothie. What I mean by meal replacement is how calorie dense a liquid beverage is to be the equivalent to a hot meal. 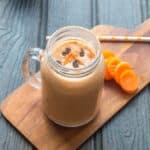 This is also filling enough to drink on a weightloss diet or maybe perhaps you want to add it on surplus to a weight gain journey – to sneak in some additional calories. 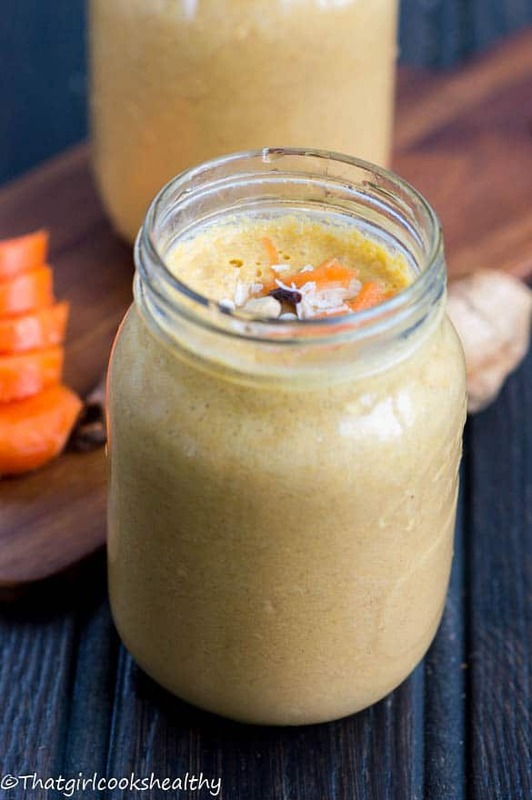 Anyway, here is a tip of you when making a smoothie – use frozen fruit where possible because I find that this adds to the texture. I would extend my advice to rendering frozen fruit as an emulsifier; it congeals the texture of the beverage.